**Update** As of July 13, 2009 the download link is working again. Sorry for any inconvenience. Bowser comes across a genie and gets one wish. His wish? To be put inside The Legend of Zelda, but the wish doesn't go as planned. Everything goes wrong. 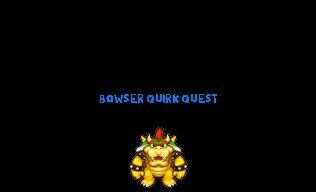 Bowser must overcome these obstacles and get out of The Legend of Zelda. As a train game, it's okay. Nevertheless, this is just tests, not a full and real game, so ... we 're looking forward to play your next game. A fan game with not much to play. There are some good puzzles ideas though.